It has been quite a week. I have for the first time in my life been engaged in picking olives to extract olive oil. I have also been sorting our collection of 10. 000 books and placing them on newly built shelves. Asleep, I dreamt of books, olives, twigs and words floating in the air. Both occupations were tiring but also rewarding, allowing me to muse about the simple pleasures of life. I live on the hills overlooking Beirut where we have a garden, which has kept my mother occupied for decades. Unlike me, she is a keen gardener and over the years she has acquired much knowledge and experience. 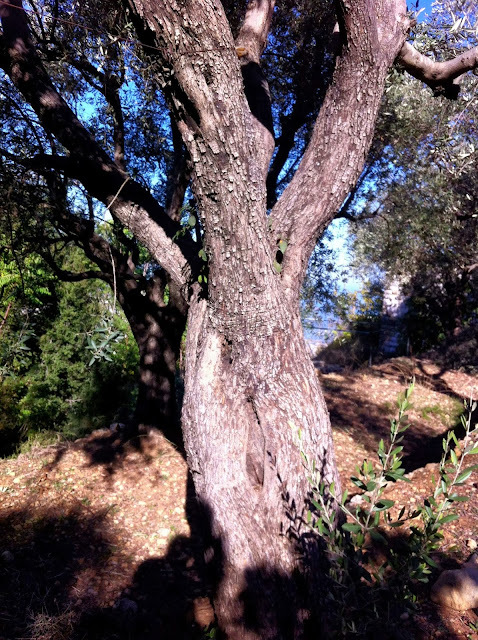 In this terraced plot of land, about 15 large olive trees grow tall. Old and knotted they have been in the family for as long as I can remember. 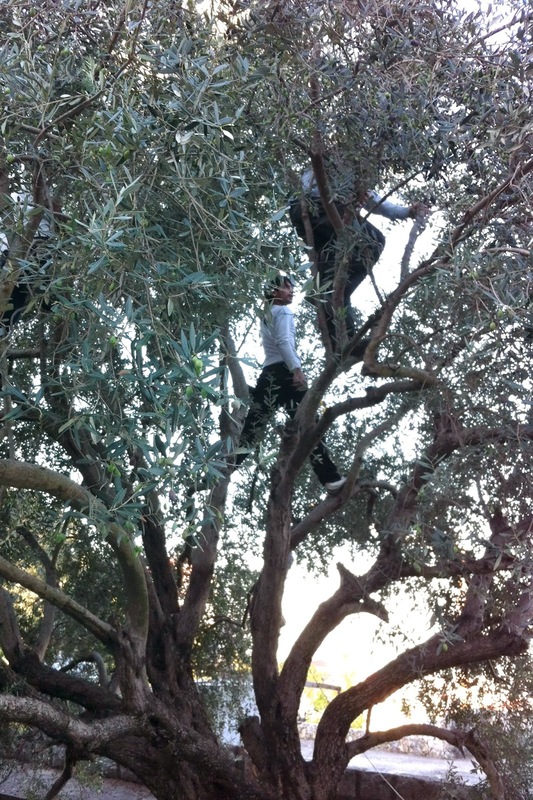 Since antiquity the olive tree has been a symbol of peace and health. As myths and legends multiply the olive tree is believed to have grown on Adam’s tomb and introduced to Egypt by Isis; Hercules brought it to Rome whereas the goddess Minerva taught its cultivation. Finally in Greece, it was Athena goddess of peace and wisdom, who created the olive tree to provide food and light. 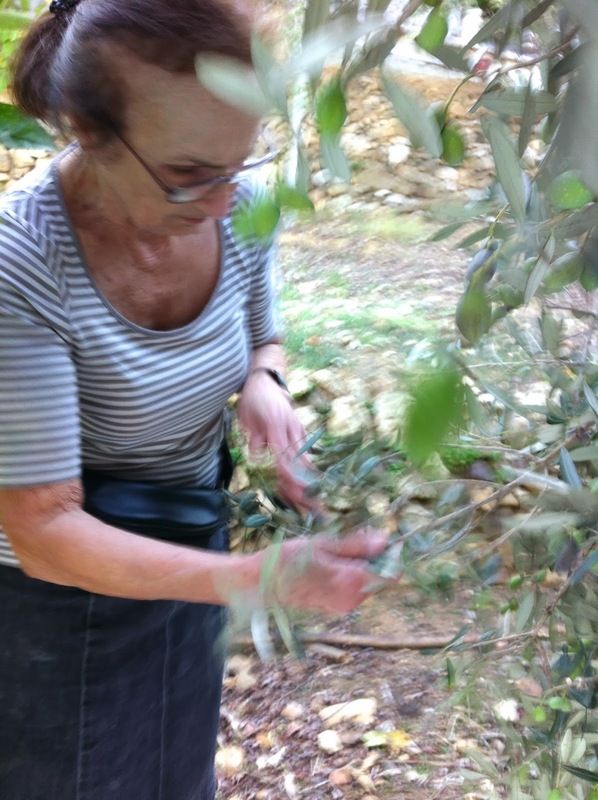 Highly valued, the olive tree was a crucial target during wars whose wreck caused economic and psychological harm. My grand mother used to often recount that at the turn of the 20th century during the great famine in Lebanon, her family never stopped using oil to light up their house, implying that her family was well off and could still afford oil which had become as scarce as other food products. The trees in our garden bear small and elongated olives known as baladi and have always been picked in the traditional manner, which means that pickers repeatedly whack the trees with sticks to release the olives. 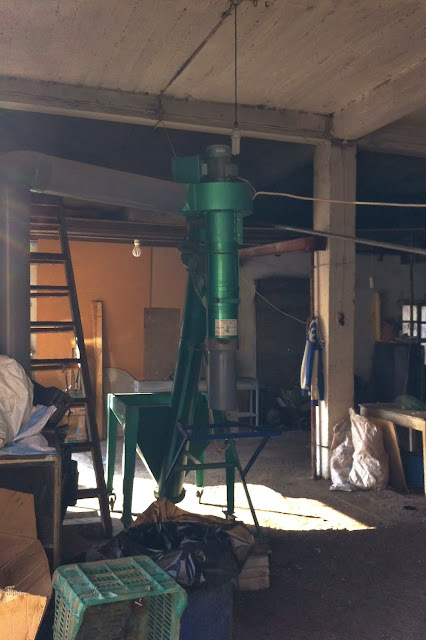 A friend who runs an olive cooperative told me that modern harvesting methods cause fewer disturbances and help maximise production allowing yearly yields. 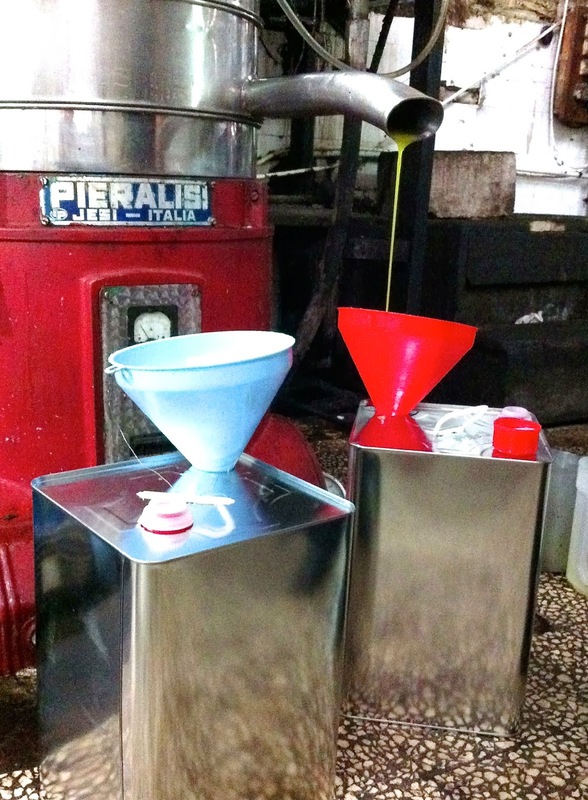 But I am new to the business of olives, so armed with enthusiasm and good will, I decide to follow the age-old tradition. I hired help, secretly wishing that their olive-tree-picking knowhow was more extensive than mine, and set off early. 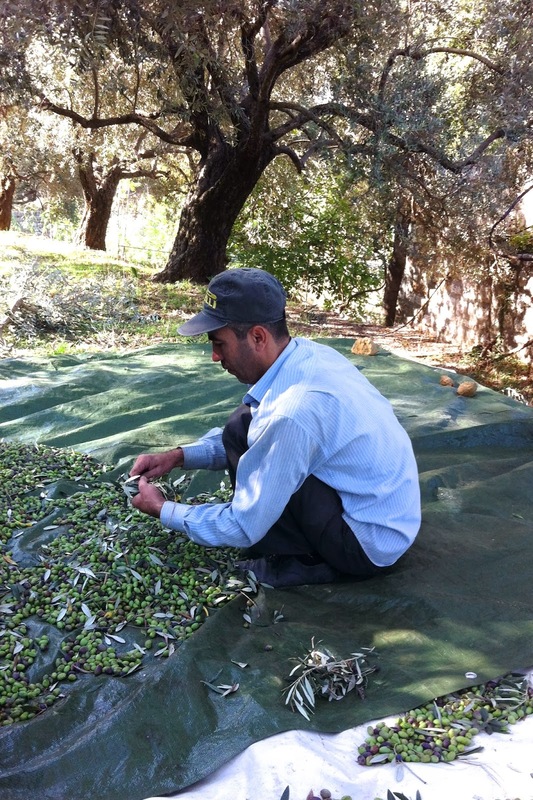 First we covered the soil with sheets to help gather the olives as they dropped. The more agile and nimble climbed up the trees whereas the quiet and patient stayed on the ground, to pick and sort. 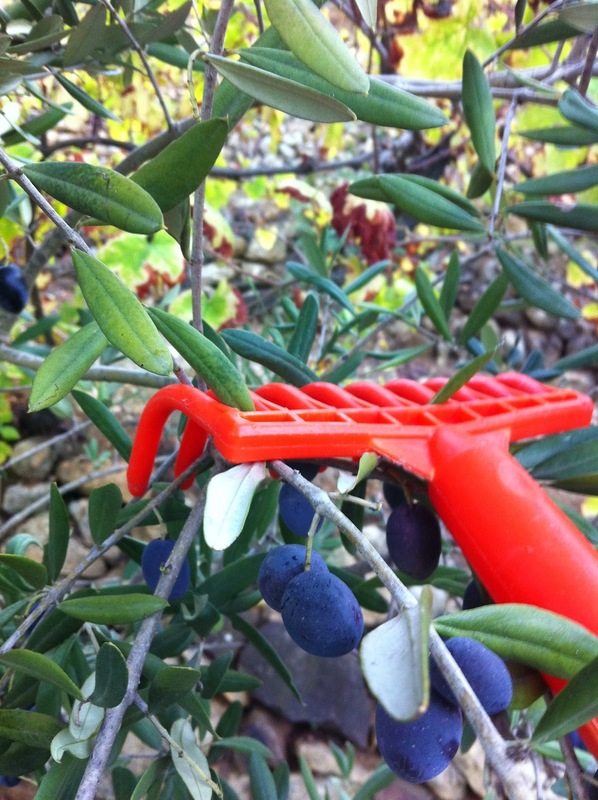 I was also advised to invest in a few plastic rakes, which we used to comb through the branches allowing the olives to fall to the ground. 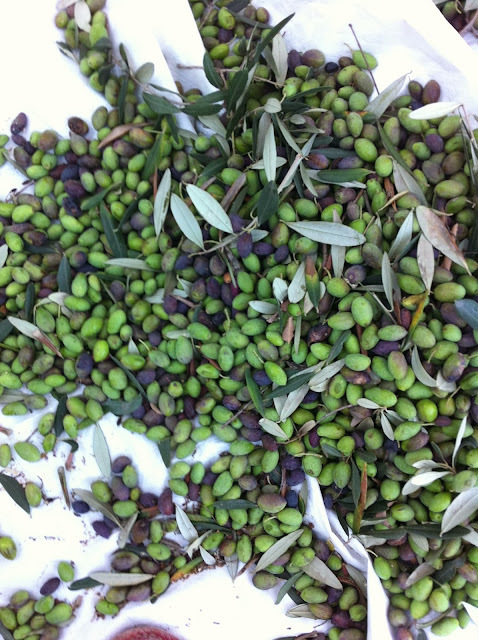 Soon the sheets were covered with olives, green and black. We slowly sifted through them and separated them from debris, twigs, leaves, bits of bark as well as the odd stray pebble. 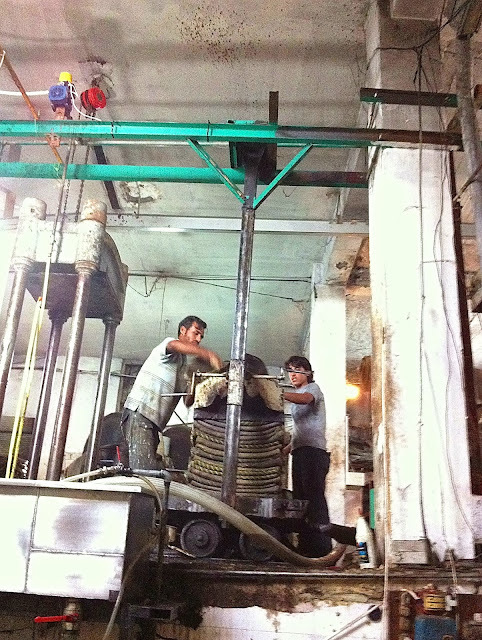 We worked for 8 hours stopping twice; once, for a sip of Turkish coffee and manoushi, delivered hot by the local baker. And the second time for a quick bite of halloumi cheese, tomato and mint wrapped in markouk bread. 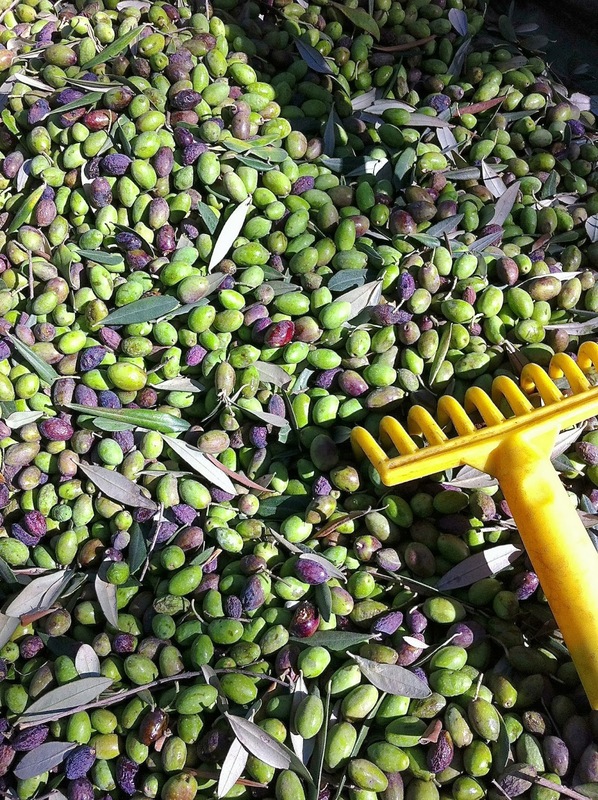 At the end of the first day, we harvested about 400 kilos of olives. 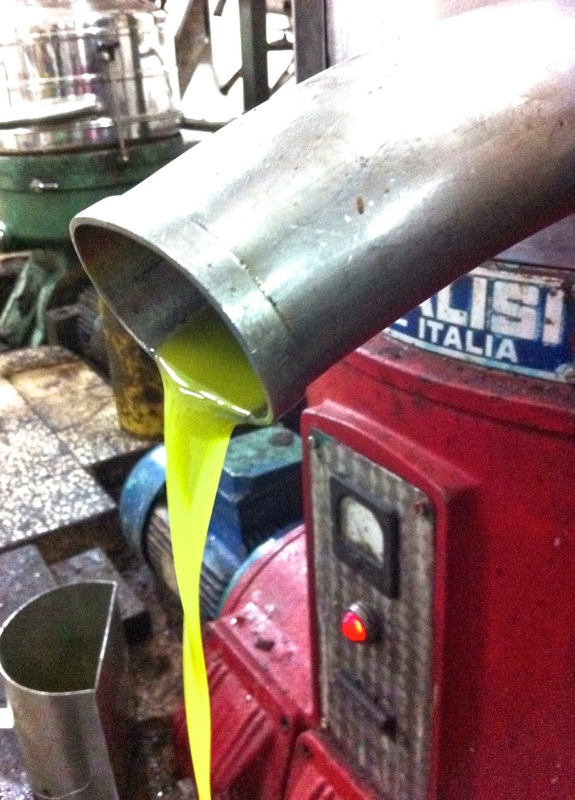 In the afternoon I waved good-bye to my co-workers and drove with my newly acquired wealth to the nearest olive oil press. I was amazed to find it tucked in the recess of the main street in an urban area. The young man who took over the family business told me they were established 70 years ago and had been around way before the olive trees were sadly replaced by buildings. He orchestrated all the moves and ran me through the process as it happened. I was shocked at how decrepit and unsavoury it looked. 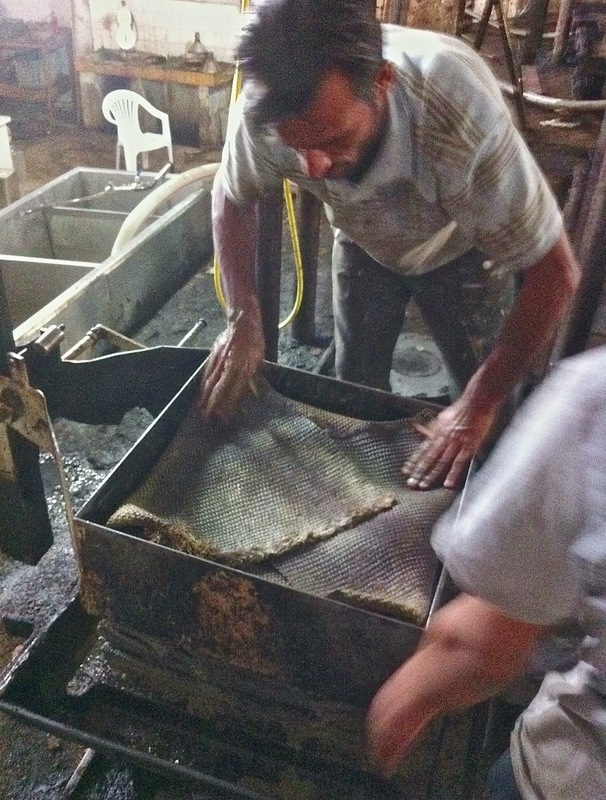 Walls and floor were black and oily and had a dangerous lustre. It felt hazardous to move. There were old stained chairs and cushion-less sofas that had seen better days. The workers were also covered in oily stains. For a brief moment I hesitated whether to let them handle my cherished olives. No time to think. The men swiftly put my bags of olives through an air operated machine which separated olives from debris. They then weighed them and with no further ado, they piled them into the mill. 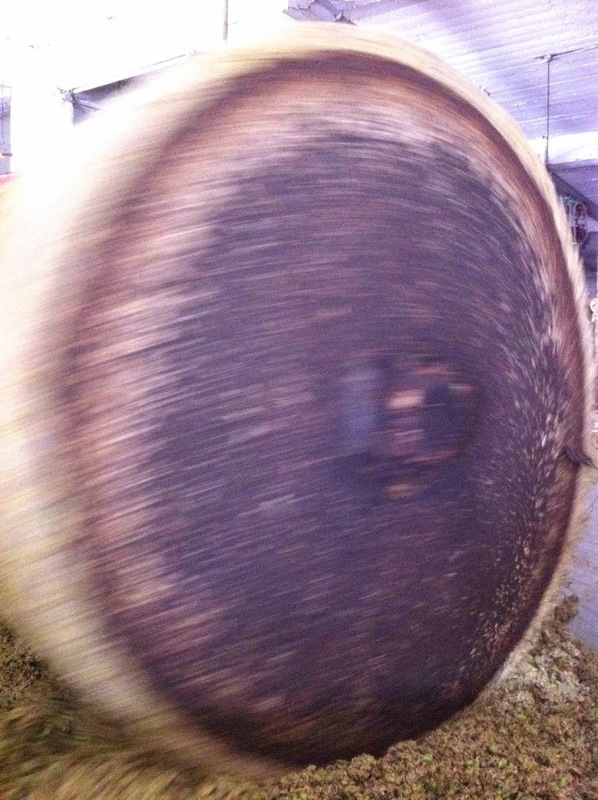 Two oversized upright stone wheels, went round and round slowly crushing olives and stones as their deep scent filled the air. 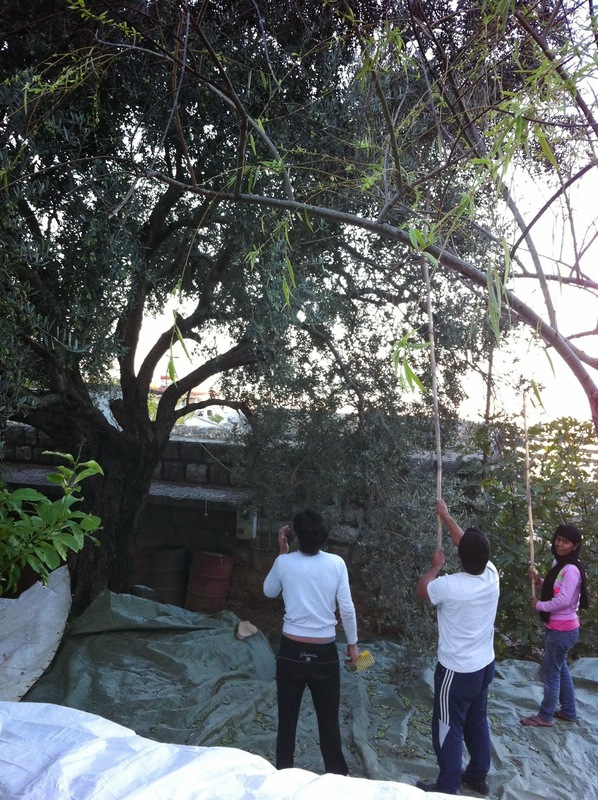 I was touched by his simple presentation and was suddenly reassured that amidst a forest of concrete there were people who still believed in the magic of olive trees. And to top it all the olive oil turned out simply divine! Peppery and fragrant, it exceeded all my expectations. And there it is: liquid gold!